This week’s photo challenge over at I ❤ Faces is “Play”! Well, in a house full of four little girls and one fun husband, it was hard to choose just one photo, but I finally settled on one from last winter. It was early January and winter had already felt an eternity long. I was discouraged about kids, house, family, school. I was a general crabby mess. 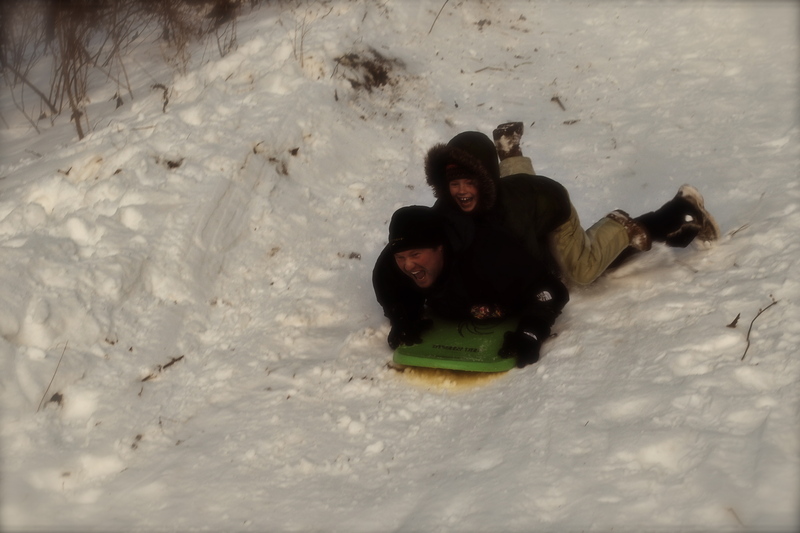 So my man decided to get us all out of our rut and take us sledding and he made me go, too. In spite of the dreadful cold we had an amazing time and this little photo captures just a bit of the pure glee that we all enjoyed…. Head on over to I Heart Faces by clicking the link below and enjoy some more “Play” themed photos! What a fun shot! Love the expressions.